At the recent International Mission Developers (MD) Conference, Kalengule Kaoma (KK), representing eastern and western parts of Africa, talked about working with youth camps and with youth and children’s ministries to identify potential new pastoral leaders. Kalengule also told about his Pastor’s Basket project where he gives volunteer or partially compensated pastors seed money to invest in helping sustain their families. Some grow vegetables, others bake bread or other products to sell. KK also names the training, education and development of African pastors as his number one need across the vast continent. JMc: Tell us about the Pastors' Basket Project you have implemented? 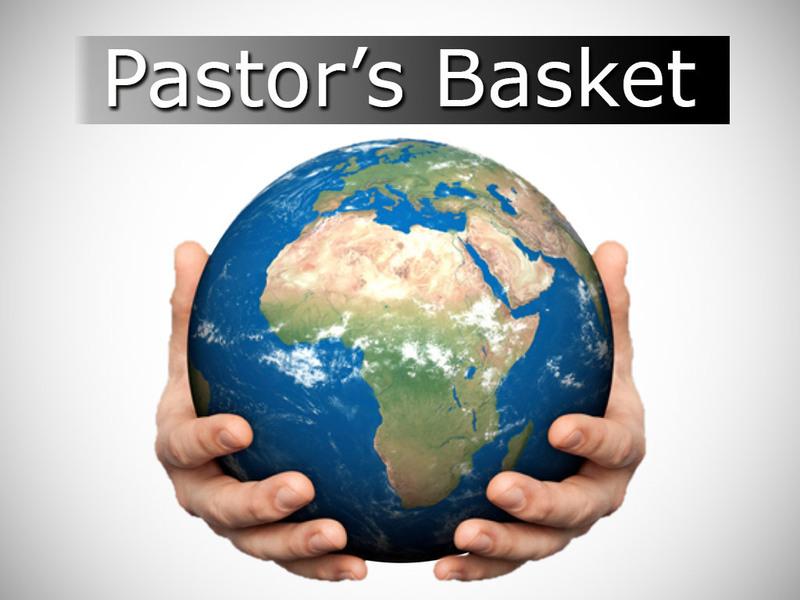 KK: We have started the Pastor’s Basket Project to help our volunteer pastors. Some are very poor, and their church is unable to pay them anything. So we give them a small amount of money to invest – some have invested it in growing vegetables, for example. As they draw an income from their investment projects, they then repay the money they were given and it is passed on to others who need it. JMc: So it’s a form of micro-finance for volunteer pastors in Africa? KK: Yes, that’s exactly what it is. JMc: Delightful to chat with you, as always. KK: Please ask the Australian brethren to continue to pray for us, for the Pastor’s Basket Project, and for the education and development of our young and current leaders. And thank the Australian churches for their generous support of projects and needs in our part of the world. The African Pastors' basket initiative was introduced at our recent National Conference at Broadbeach on the Gold Coast, participants donated $1463.10 towards the initiative. Over time we hope to continue to raise funds to assist Kalengule Kaoma in this project, supporting the African volunteer pastors and their communities. We started the CFEP pilot program with the Lusaka based GCI Zambia congregations. We started the training in July  with the youths from GCI Zambia Lilanda Youth Church. The syllabus being followed comes from the International Labor Organization Small Business Management Training program, designed specifically for the African environment. It is an excellent program made up of six simple modules which can be adequately tackled a module a day, so it would normally take six days to complete the program. This training is to equip the congregations in successfully managing the small business projects they are embarking on. The training for all 5 congregations has now been completed. Each congregation has been required to fulfill certain conditions and have been very cooperative in doing so. 5. Lilanda Youth Church- grocery store. They have received the training with great excitement and positiveness. They are starting their projects with great enthusiasm. We will have ongoing supervision and support for the next 12 months. We will have refresher training after 6 months. They are good to go. Thank you so much for your support. We will continue to keep you updated. We are now ready to commence with phase 2 of the pilot program. This is the 5 congregations in the outlying areas. This one will require traveling outside Lusaka to the various congregations around Zambia. These training sessions will coincide and facilitate pastoral visits to these areas which will be a double benefit. As these congregations start their projects, they agree to give 10% of their profits back to the fund so that funds can be raised to assist the next country. We have already identified the next country to assist congregations to become financially empowered. We hope by the middle of 2019 the current recipients will start putting back into the fund. Once again great appreciation continues to be expressed as congregations gain hope in being financially empowered to carry out their church obligations and activities including being able to take care of their local Pastors. We remind them that the greatest appreciation will be expressed through their dedication and commitment to the projects.